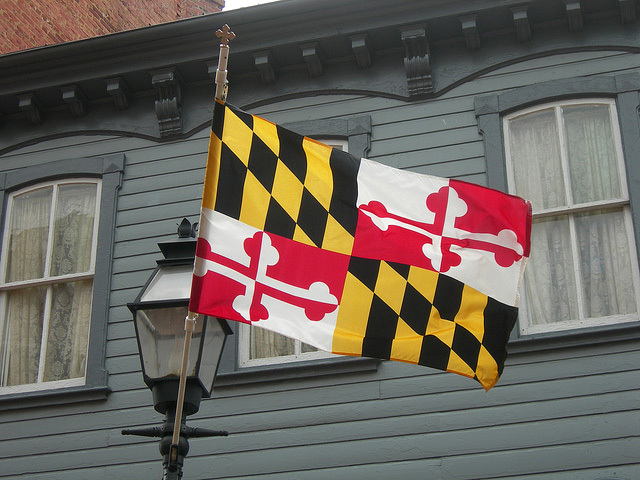 Maryland state flag waving in Annapolis, Maryland; photo by Jimmy Emerson DVM on Flickr (noncommercial use permitted with attribution / no derivative works). 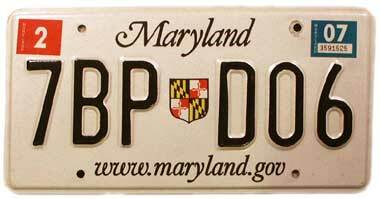 Maryland license plate featuring state coat of arms; photo by Norm Russo (used by permission). 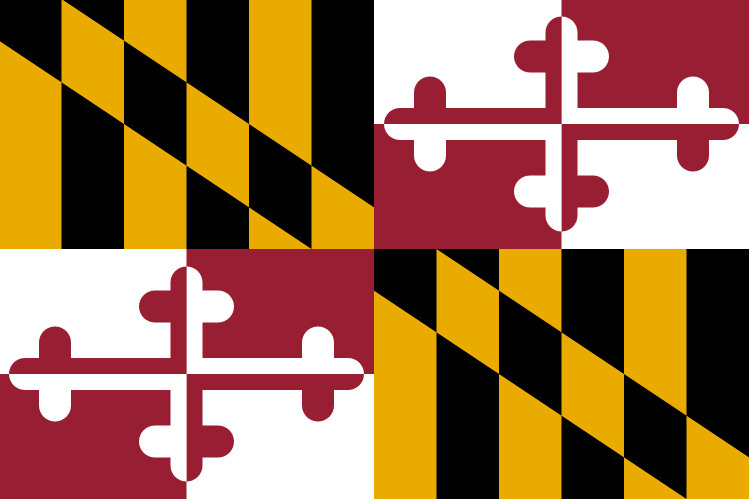 Flag of Maryland public domain image on Wikipedia.